The world is about to get a whole lot dirtier. On Monday, global cleaning giant Denmark's ISS A/S, which is also one of the world’s largest private employers, pulled a page right out of the Fifth Element when it announced plans to fire about 100,000 workers as it exits 13 countries that were among its least profitable markets. The mass layoff represents about a fifth of the company’s global workforce, according to Bloomberg which notes that shareholders will get at least a quarter of as much as $383 million in anticipated net cost-saving proceeds. The countries ISS plans to exit are mostly the "poorer" variety, including various emerging markets in Asia and Eastern Europe. At the same time, the company wants to do more business with so-called key (i.e., more profitable) accounts, such as global banks. ISS, which in addition to cleaning offers services such as catering, property maintenance and security, is leaving countries that represent just 12% of its group revenue and 8% of operating profits. Going forward, the company will no longer do business in Thailand, the Philippines, Malaysia, Brunei, Brazil, Chile, Israel, Estonia, the Czech Republic, Hungary, Slovakia, Slovenia and Romania. 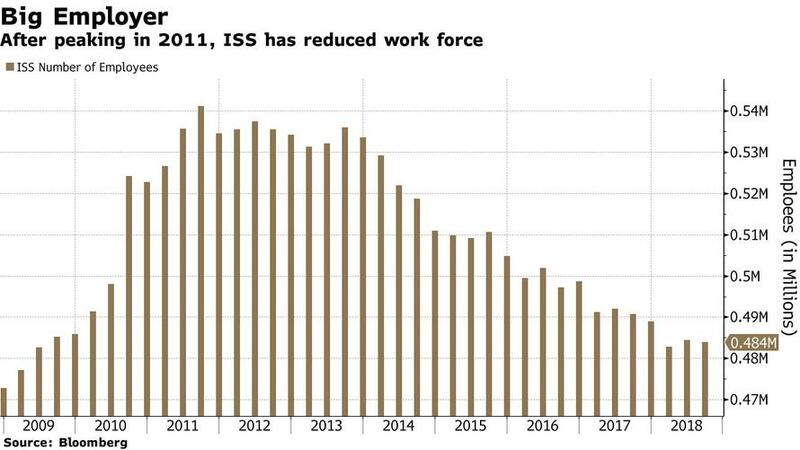 After leaving those markets, ISS’s workforce will shrink to about 390,000 people, the company said. CEO Gravenhorst told Bloomberg that ISS "wants to focus on getting a larger share of the $400 billion global market for key accounts with the biggest corporate customers." That business accounts for 46% of the company’s organic growth, with ISS currently sitting on about 2 percent of the key-account market, he said. ISS, which is one of Europe’s biggest employers, is taking the drastic steps after its shares lost about 18% this year, in part as hedge funds speculated against the company. The new strategy also comes after signs that some analysts were starting to question ISS’s prospects. Though most had been positive, Goldman last month told clients to start selling ISS shares. While the company's shares fell as much as 3.3% after investors learned of the massive restructuring, analysts were pleased with ISS’s new strategy was good news for the company’s longer term prospects. 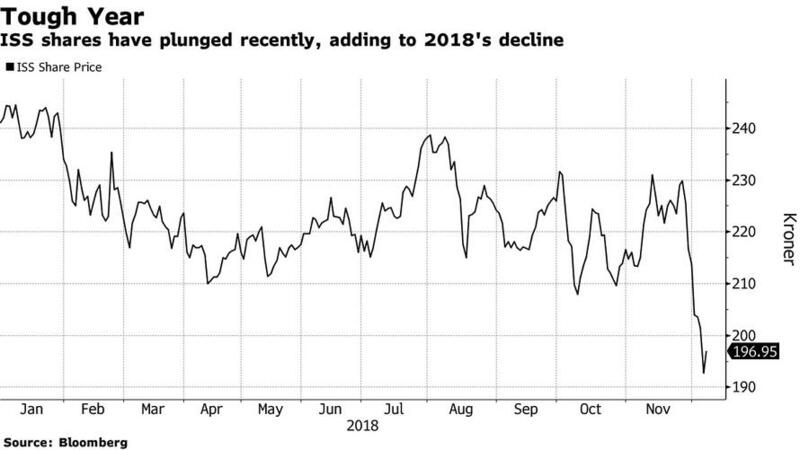 “The market tends to be a bit short-sighted these days,” Sydbank analyst Mikkel Emil Jensen said. What ISS is doing is “investing more in stable margins long-term, rather than higher margins.” That includes spending money here and now on “things like robots” to keep up with the latest technology in the industry, he said. Well, the fact that until today the company needed an additional 110,000 workers to keep up its organic revenue may be one clue, and while cost-cutting is certainly a welcome move - for shareholders - it remains to be seen just how much more efficient the remaining 390,000 or so cleaners can be to keep shareholders happy. For its part, the Copenhagen-based ISS is optimistic, and expects organic growth to accelerate to 4-6% a year “in the medium term,” from 1.5-3.5% expected in 2018. Meanwhile, 100,000 workers are about to find themselves unemployed in some of the world's poorest countries.